The Loch Ness Monster, Bigfoot and Yeti. All are extremely famous, all are extremely dangerous and all are coolers. Just kidding. Actually not really, there are actually coolers bearing their name, but only one can claim that they are one of the top, if not THE top cooler on the market. Want to take a guess? If you said Yeti, then you’d be correct, but how do you choose which Yeti is right for you? 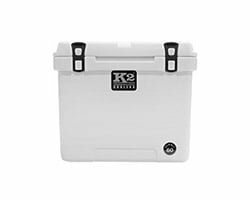 We’ve done some intensive Yeti cooler reviews to find you Yeti coolers on sale and more. In order to find the perfect Yeti ice chest for you, first let’s take a look at a quick comparison between the models. What Is A Yeti Cooler? Glad you asked. Before we can answer that question, we need to go back to the beginning when Roy and Ryan Seiders, founders of the company, decided to build the cooler they’d use every day if it existed. Yeti was born from their own necessity and not from market research. Yeti coolers were built to withstand not only the beating it would take from the outdoor elements, but stand up to someone using it as a casting platform as well. So to answer that question earlier – A Yeti cooler is not just one of the top coolers on the market, but it also pulls extra duty as a spare chair, casting platform and even a bench seat. 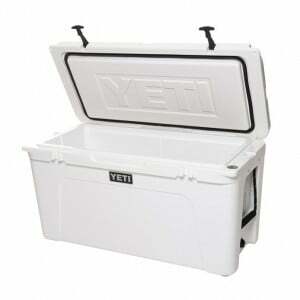 Yeti ice chests are created from the same materials as whitewater kayaks, and are also created utilizing the same process. 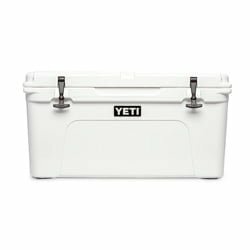 While the name Yeti may sound like a foreign word, bringing to mind frozen tundra and a remote desolate area, you may be asking where are the Yeti coolers on sale made? Another great question. Yeti coolers are made in the US at facilities in Iowa and Wisconsin. There is also a facility in the Philippines. There are many models to choose from and they can range from being able to hold a little over a dozen cans to six cases of cans (over 150)! Yeti has a tremendous line up of coolers that can meet any and all of your needs. From big to small, you’ll find a Yeti cooler just right for you. Here’s a closer look at some of them. 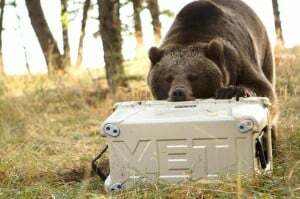 The Yeti Tundra series is a rugged line of bear proof coolers with sizes ranging from a capacity of 20 cans to 268 cans, and all sizes in between. If you are more of a solo outdoorsman camping on your own for a few days at a time, then a smaller Yeti Tundra cooler may fit your needs. If you will be taking your next trek with several of your friends for a week or so, then one of the larger sized coolers in the Tundra lineup will be what you are after. 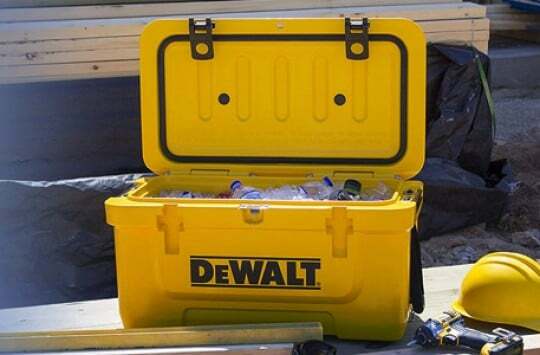 These coolers are roto-molded and extremely resistant. Built like a whitewater raft, these coolers are built for the long haul and have been voted one of the best insulated coolers. The ColdLock gasket will minimize the amount of outside air that can get in, keeping your contents as cold as possible. Many users absolutely swear by these coolers. One user reported that they can hold ice for up to a week or more in colder temperatures, if properly prepped before use. Another user mentioned that this cooler is not for the casual potluck or party. It really wouldn’t get its full use. 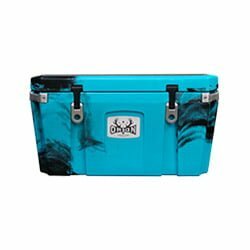 The user said if you planned on being out for several days with friends and want to pack all meals, raw meats and drinks and still have them cold, then this cooler will be perfect. It’s almost like having a racecar but just driving it around the neighborhood – you’ll never get the full use out of it. Yeti Tundras are available in many different colors, including white, desert tan, ice blue, coral and high country. Limited series are also available, just like pink Yeti. Just as the name implies, the Roadie is road ready. 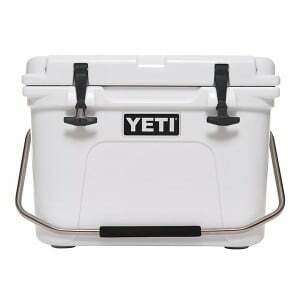 The Yeti is the solo adventurer’s best friend when it comes to cooling needs. This tough little companion fits perfectly in the backseat of your vehicle or right in your kayak. As with anything you travel with when you are alone, there runs the risk that someone else may get into it. No problem. With corner sections complete with lock holes built in, you’ll be able to use your own padlock to secure it if you leave it out in the open. A handle that locks into place while carrying, also make it ideal if you find yourself moving from car to campground to kayak and back. Normal large handles leave you with one that swings a bit too much, this is not the case with this little wonder. And if you are traveling with a friend or two, there’s still enough room to keep contents for you all to stay hydrated or fed. However, you may find yourself telling them to get their own as you’ll love this one. 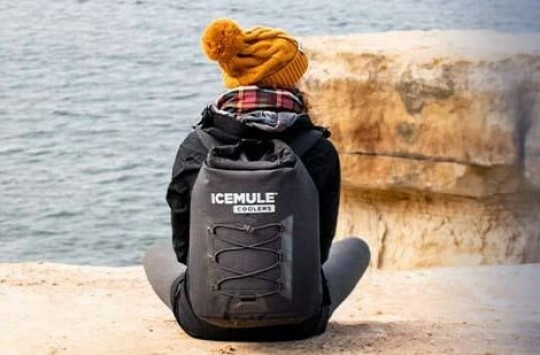 While users report using these during outdoor trips, one user noted it’s ability to keep things so cold, that they keep one in the truck at all times. What does this mean? Grocery shopping at any time and never having to be in a rush to get things home to the refrigerator, that’s what. Another user mentioned the surprise that companions had that his drinks were still cold after three days of the roadie sitting in a trunk. Not bad, not bad at all. Think of the last soft sided cooler you saw. Those flimsy coolers don’t typically hold up to the heat or stay leak proof. It’s common for users to have problems with them, as they just aren’t as durable as their hard case counterparts. Yeti wants you to rethink the soft-sided coolers that you have used in the past and give them a shot. Why? Because they aren’t your ordinary soft sided coolers. Made from a Dryhide shell, which can be found in survival suits. These soft coolers have the ice retaining capabilities that rival some of the best out there. These soft-sided coolers are anything but soft. They are puncture resistant, watertight and come with D-rings so you can secure them to anything (think: boats and truck beds). Many users love the smaller size and versatility of these coolers. You can easily accommodate 18 cans or six foot-long sub sandwiches. One user mentioned the ability to take this on long motorcycle rides for several days, with food still staying cold for the duration of the trip. Another user mentioned the great quality and build of this cooler with one minor issue. The user said that the opening was a bit small for his liking, though they did say that the smaller opening helped keep contents colder. We think that on long trips anyone would take a smaller cooler opening over warm and spoiled foods any day of the week. Just as the name implies, these are built like a tank. 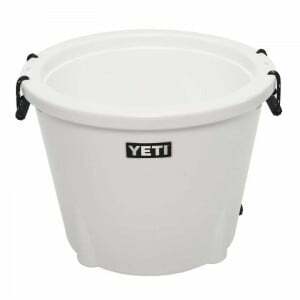 This line of Yeti coolers is actually a party tub. Just add ice and your favorite beverages and you are ready for your next party, event or tailgate cookout. You can easily fit 60 longneck bottles or 96 cans into this party tub for your next get together. The beauty of this tub is it’s sweat proof, meaning you won’t have any puddles to deal with through the duration of your event. Should you want to cover it up, the tank has a lid to keep contents colder for much longer. Many users enjoy the long ice retention time of these coolers, even without the lid. One user mentioned that the tank still had ice the next morning from an event the morning before. Many users also mentioned the versatility of using the Yeti tank with a keg to keep it on ice. Another user also reported drastically reducing the need for ice for a keg by more than 50%. If you have been looking for an open cooler for pool parties or gatherings to keep drinks iced, then this is the perfect companion, especially if you use kegs on a regular basis. Looking for something special for that special lady in your life? Yeti hasn’t forgotten about these special women. To support National Breast Cancer Awareness Month, Yeti has created a special pink edition cooler for the Roadie 20 and Tundra 45. These will be available from select retailers and online at Yeti’s website. If you are looking for something that stands out from other Yeti coolers, then you may want to pick up an ice blue Yeti cooler. These coolers can be found in the Yeti lineup for the Roadie, Tank and some of the Tundra editions. Yeti coolers are on the higher end of the price scale and are worth every penny, but who doesn’t like a deal, right? 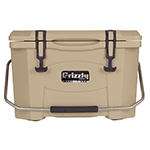 The top recommendation we have for you to get a good price on Yeti coolers is to check out Amazon. There’s also a good possibility that you can get free shipping nationwide. 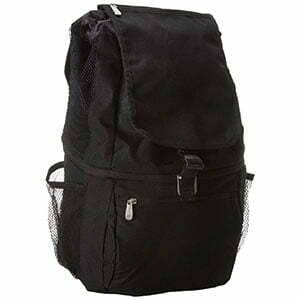 This is also a great site to use since there are so many reviews on the coolers. You can hear from the many buyers who can answer any other questions you may possibly have on purchasing a Yeti. Again, the first place we would check out would be Amazon. If you are not familiar with Amazon and would rather go straight to the source, then check out the actual Yeti Cooler website. If all else fails you can always visit Acme Tools or MooseJaw or simply google some other stores. 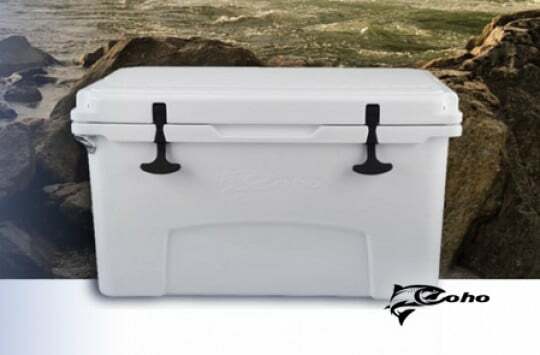 The bottom line is this, if you are in need of a cooler that is built to last, that will keep ice frozen for days at a time and can handle the rough outdoors, then Yeti Coolers is exactly what you need. 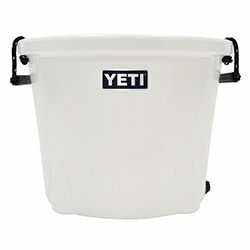 Check out the different lines of Yeti coolers for sale we have listed here and keep in mind your specific needs. For instance, if you just need something on the smaller side that you can easily fit in the backseat of your car or even in your kayak, then check out the Yeti Roadie or a small-sized version of the Tundra. If you need something even smaller and on the softer side, then you may want to pick up the Hopper. If your needs are more of an open top for parties such as icing down drinks or even a keg, then you may want to seriously consider the Yeti Tank. 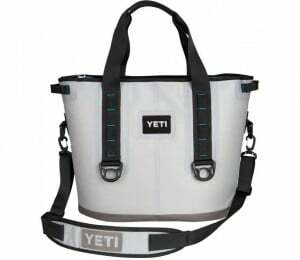 It doesn’t matter what your needs are, you are sure to find a Yeti cooler for sale that will fit any and all of your indoor and outdoor needs. I am trying to locate a pink yeti roadie. Does any one have an idea where I can find one? Or is this something that only comes out in October?